Social networks like Twitter and Facebook have surely helped to raise awareness of content online, and made it easier for videos to go viral and be noticed by the masses. But betting only on social connections might not be the best strategy for apps focused on video discovery. That has been the experience of Jonathan Benassaya, CEO and founder of Plizy, an iPad app that helps users find, view and bookmark videos on the device. 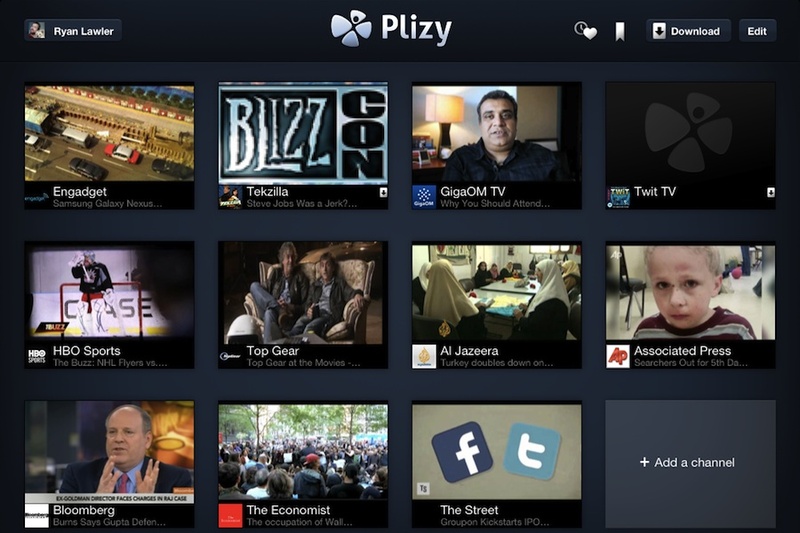 Plizy is one of many apps attempting to tackle the issue of video discovery on the iPad. With a growing number of video publishers supporting the tablet and other mobile devices, the ability to navigate and find relevant, interesting content from what seems like a near-infinite number of sources is becoming a chore. But despite the ability to connect with Facebook and Twitter friends to see what they’re watching and sharing, Benassaya says only a small minority of video consumed comes from those recommendations. Just how small? About 25 percent, according to the Plizy founder. Instead, a growing number of users are watching videos from Plizy Buzz — a sort of “what’s trending” among videos being watched within the app — as well as a number of editorially curated channels that the Plizy team have put together. Those include topical subjects like a Steve Jobs memorial channel and one devoted to the Occupy Wall Street movement. Since videos from social recommendations remains a small portion of its viewership over the past six month, Benassaya has become bullish on other forms of discovery. The team is working on enabling search in a future version of its app, and hopes to build a smarter recommendations engine based on what users are watching in the future, in effect downplaying the social element. In that respect, Plizy’s strategy runs a bit counter to the growing number of apps and websites that are focused on surfacing videos based upon recommendations made by connections on social networks. Over the past six to 12 months, we’ve seen an explosion in the number of startups focused on bringing together videos that have been shared socially; there’s Showyou; there’s VHX.tv; there’s Shelby.tv; there’s even Boxee’s iPad app. Each differs in its implementation and feature set, but the concepts are pretty similar. There are a few reasons why social recommendations might not work as well as other discovery mechanisms, Benassaya posits. One is the novelty factor: Users might find videos recommended on Facebook or Twitter interesting at first, but realize they’re not that relevant as time goes on. Another is that the number of contacts on social networks that a user actually shares interests with is usually pretty low. That’s not to say that social won’t be important for surfacing new content, or in connecting a sort of social graph of recommendations based on like-minded interests. But today’s usual implementation — wherein videos are surfaced based on the fact that they’re shared, without any further filtering mechanism — probably has limited utility as smart recommendation algorithms begin to take over. Disclosure: Showyou maker Remixation is backed by True Ventures, a venture capital firm that is an investor in the parent company of this blog, Giga Omni Media. Om Malik, founder of Giga Omni Media, is also a venture partner at True.